Stock status is current as of 4/24/2019 11:53 PMET. To respond to business demands quickly and efficiently, you need a way to integrate the applications and data spread across your enterprise. 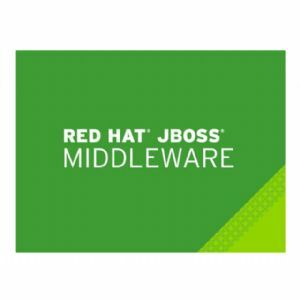 Red Hat JBoss A-MQ is a flexible, high-performance messaging platform that delivers information reliably, enabling real-time integration and response. Red Hat JBoss A-MQ is a flexible, cost-effective messaging platform that uses open source messaging technologies to deliver information safely and reliably. Its small footprint allows it to easily fit into your existing infrastructure. Red Hat JBoss A-MQ can be deployed and easily managed in any configuration, so you can deploy a network of brokers across your infrastructure whether they are on premise, in the cloud, or in a hybrid configuration.